I'm catching up on my podcasts and just listened to Seth Godin's Akimbo episode about honest signals. (Do listen.) It's about the signals we send that are honest or dishonest and why we might choose one, the other, or both. I started to think about the management signals we send, especially in an agile transformation. 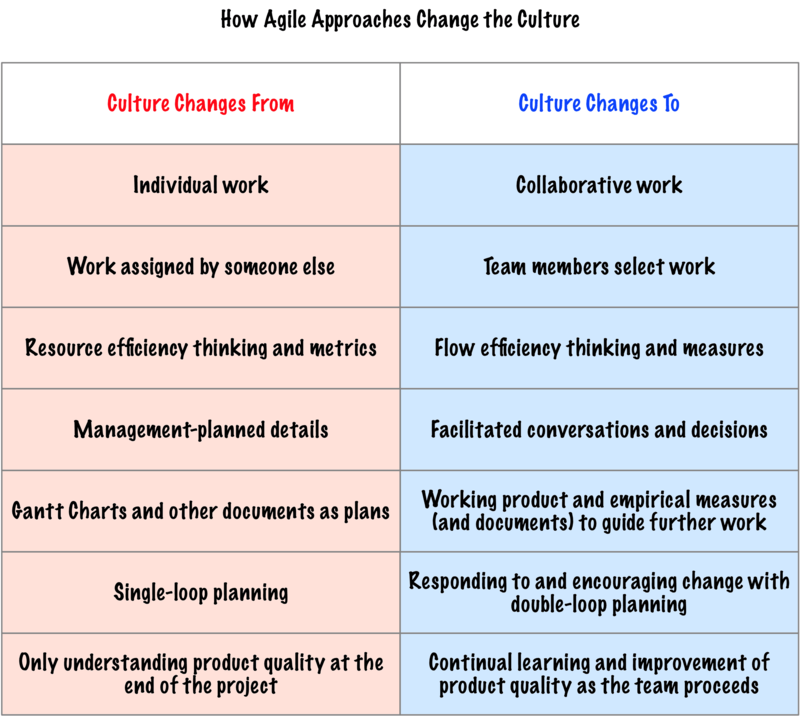 In From Chaos to Successful Distributed Agile Teams, Mark and I developed this chart to show how agile approaches change the culture. When managers signal they want the items on the left, they reinforce the culture of command-and-control. When managers signal they want the items on the right, they signal servant leadership, an agile and lean culture. I've been thinking about how to help managers realize that changing their thinking—and the organization's reactions to the items on the right—will help the entire organization. 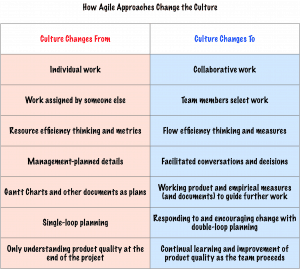 Not only will the items on the right help the agile transformation, but everyone's work becomes much easier. When managers at any level signal to the left side of the chart, the organization reinforces the current behavior. When managers signal to the right, the organization can change. Change isn't a guarantee. Change is only a possibility. Maybe this is a way to explain the effect of management's actions and a change of culture—the signals managers create and use. I don't have answers yet. I'm working on it. Inet, back when I was a manager, I asked my team to generate the areas that were important to them. They defined areas such as they knew what was going on, they got to learn, things like that. I will have to think about whether my questionnaire is sufficiently generic or not. Every org is different. If you ask them what’s important, and then ask them to rank you on a five-point scale, I think it should work. Back in the old days, I asked someone to collect the responses. These days, you can use anonymous google forms or other forms that keeps people’s responses anonymous. For example, I think I had one question about safety. Because I’m so blunt, people felt free to be honest with me. Even the people I worked with (who weren’t meeting expectations) felt safe. I am sure that in many environments, you would need more questions about safety. That’s why I’m not sure a generic questionnaire would work.